A new generation of progressives is rising. A generation not afraid to fight for what we believe in. 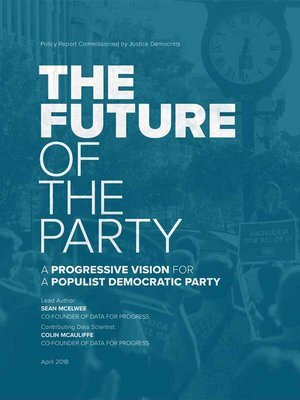 Data for Progress is the think tank for the future of progressivism. Our goal is to show how a progressive agenda can win nationwide. We provide research, polling on left issues and analysis to support activists and advocacy groups, challenging conventional wisdom about the American public that lack empirical support. Multilevel Regression and Poststratification (MRP) analysis to provide reliable sub-national opinion estimates on progressive issues. Deep learning textual analysis of media. Data mining and analyzing social media data for politicians and pundits to find interesting trends and patterns. We distribute our research over the internet because data can only help interpret the world. The point is to change it.